What's happening in the Heart of America? Your big event! 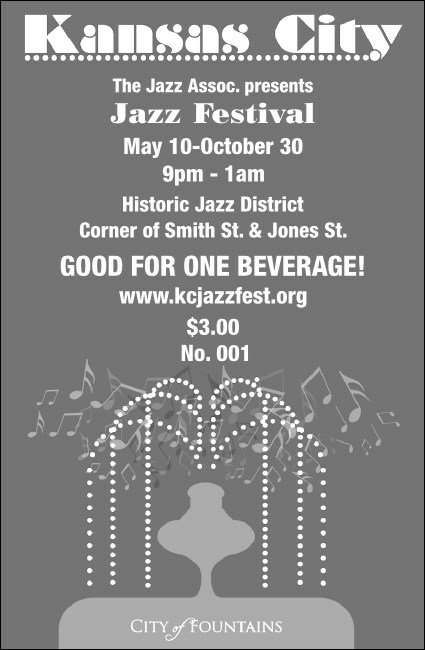 If you're kicking back in Kansas City, choose the Black and White Kansas City Drink Ticket, and the matching Event Kit, to save money while you make money. Economical black and white printing paired with increased bar sales keeps your spirits soaring. Don't get the blues! Find TicketPrinting.com Event Kits for all your local events!